Arrange the tomato, cucumber and onion on a serving platter. Scatter the olives over and add the cheese. Scatter the thyme and oregano over the salad. 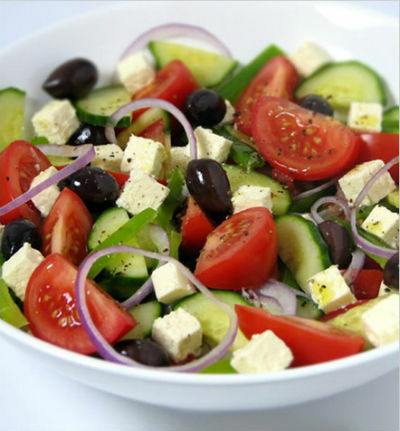 Feel free to comment or share your thoughts on this Greek Salad Recipe from Awesome Cuisine.